65 y/o M with AMS, SOB and hypotension. Does this patient have a pneumothorax? You see no signs of trauma and the paramedics were called because of shortness of breath and altered mental status. You continue your evaluation, and in the upper R lung field (zone1), you see the following image and loop. Eventually, his family arrives to the ED and tells you that he was a long time smoker and had a R lobectomy for lung carcinoma. With his changed anatomy, his heart is now pushed to the R side of his chest by the left lung. 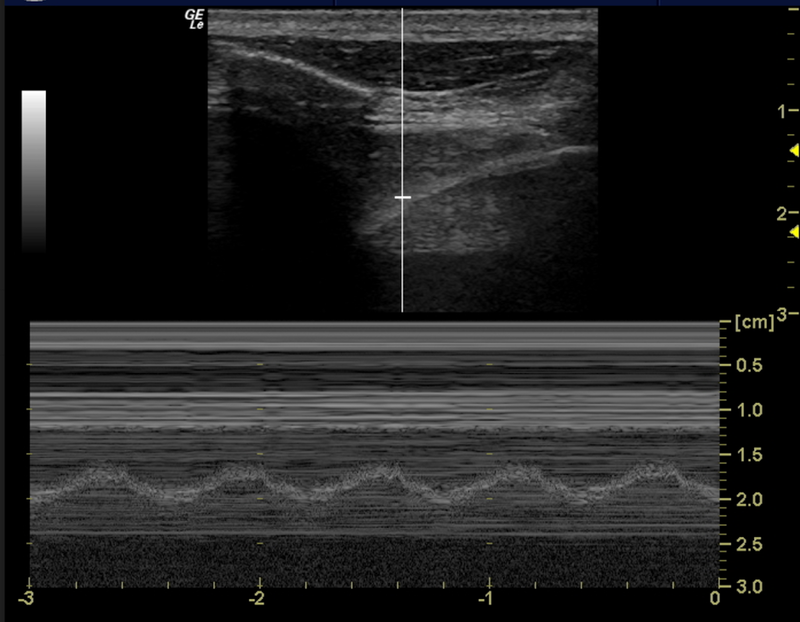 In this image and loop, you can see the pleural line, with the edge of the heart in view. The lung is absent in this field.